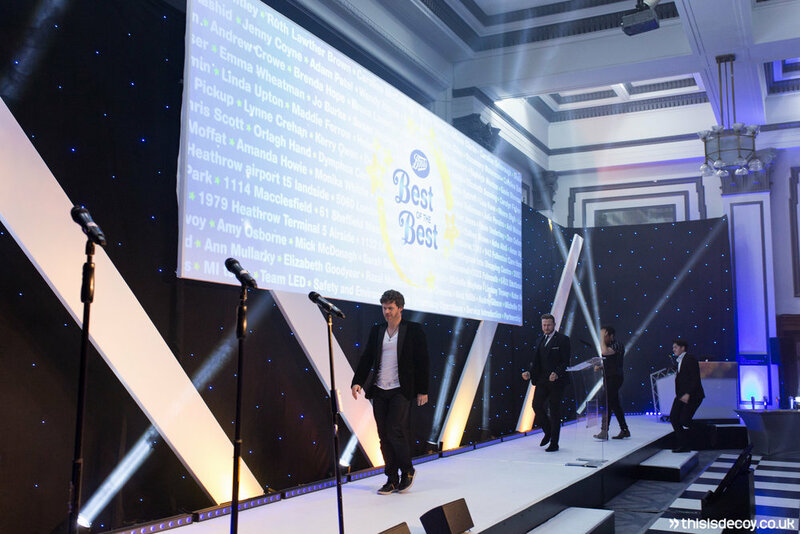 On the evening of the 7th November we were invited to be a Manchester annual awards photographer for a huge corporate event for Boots that hosted 450 guests in the newly refurbished The Principal Hotel, Manchester (fka The Palace Hotel). 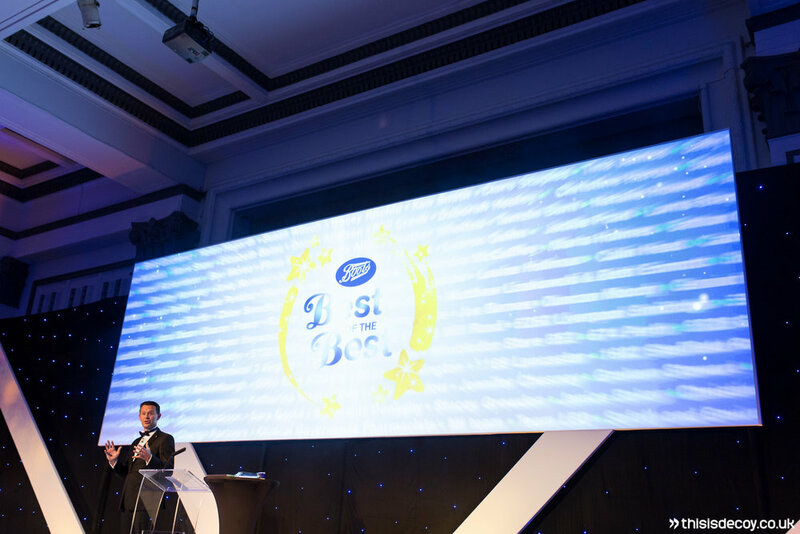 The Best of the Best Awards 2016 were a celebration of Bootsâ€™ top performing teams and stores, lots of awards were given prior to the event with only the top five left to reveal during the celebration. 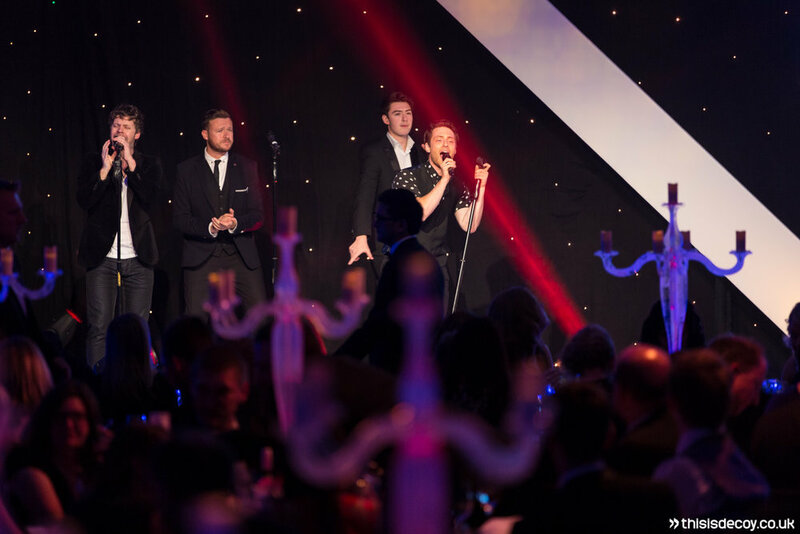 The guests first entered into a drinks reception where there was champagne on arrival and a roaming trio of musicians performing to keep them entertained. We then photographed the set room before the guests entered. This was a very impressive setup within the largest ballroom in a hotel in the North West of England. 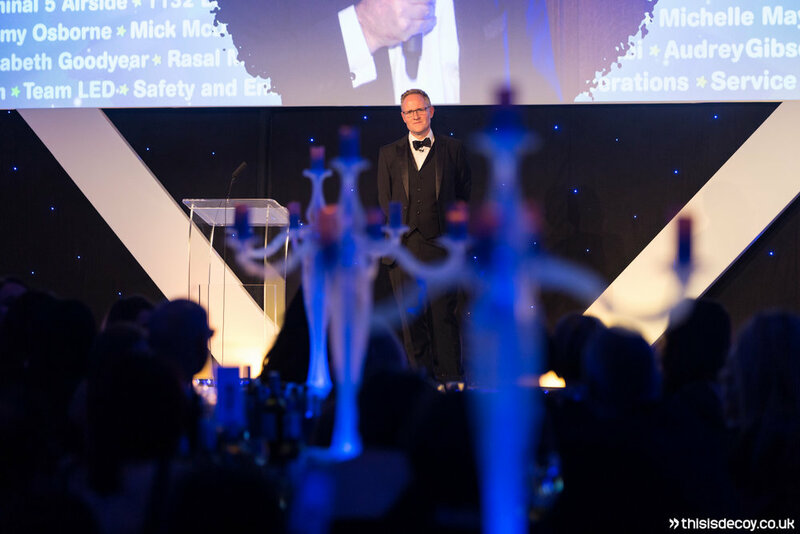 It contained a large stage with a built in screen and over 40 tables all with lighting desk controlled candle holder centrepieces. 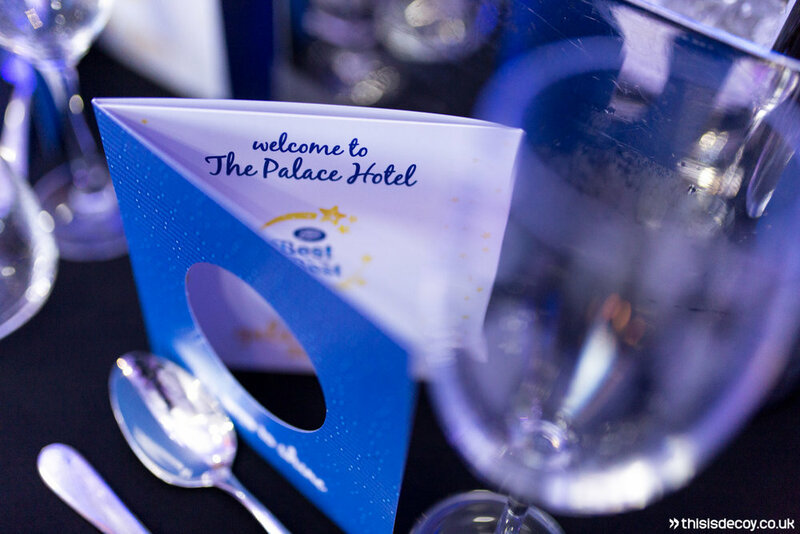 As the event got under way it was clear that the hotel was running a very tight operation, after having only recently reopened they did not struggle with serving the 450 guests on time, for each course. Entertainment on the night was provided by Rule the World, Take Thatâ€™s number one tribute band. 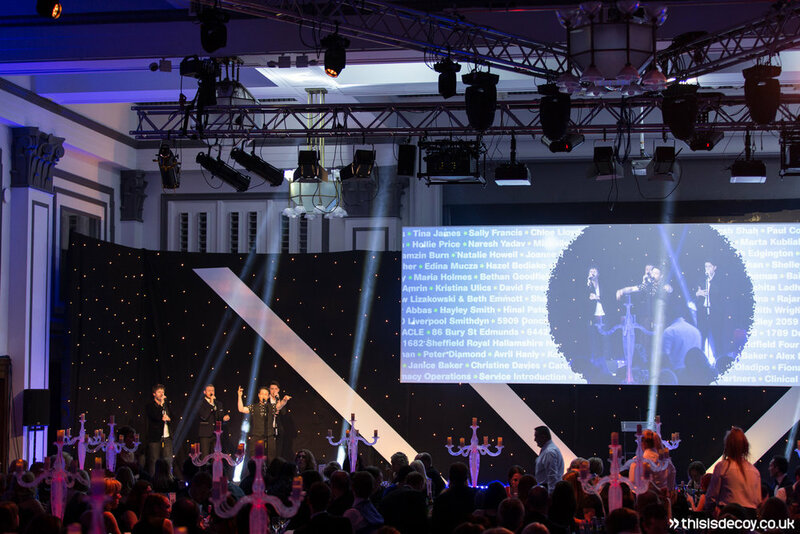 Key shots were provided within 12 hours of the event finishing for our clientâ€™s internal company communication usage. All images were then sent to the client within 24 hours. Congratulations to all of the winning teams and stores!